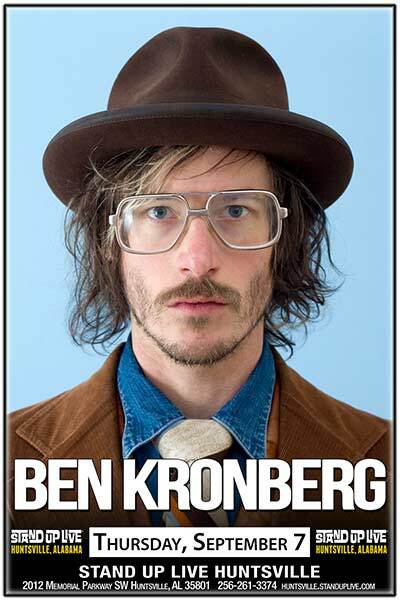 Ben Kronberg: Since his breakout performance at the HBO Aspen Comedy Festival, Ben Kronberg has performed on "Jimmy Kimmel Live!," "Last Call With Carson Daly" and the third season of "John Oliver's New York Stand-Up Show" on Comedy Central. Ben is also a regular performer at the SXSW Music Festival and has been featured at the Vancouver Comedy Festival and Boston Comedy Festival. Ben recently co-starred in an episode of MTV's "I Just Want My Pants Back" and is currently starring in the popular web series "Ted & Gracie," a story of a woman who is engaged to a serial killer, but has no idea.